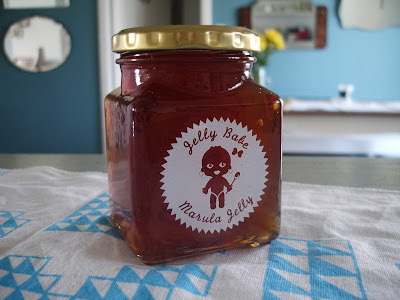 Our nice traveling friends Joh Del and Queen Gabrielle, got us this sweet treat in even sweeter packaging. 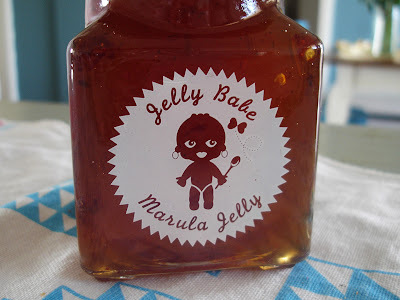 Well, I'm not sure, I haven't sampled the jelly yet. I feel like looking at it for a while. 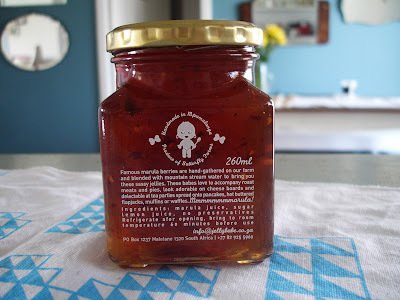 I was wondering who was behind the cute packaging design but I only managed to find out that this jelly won a Sunday Times Great Taste award in the 'Jams, Jellies & Preserves' category. How funny... and sweet.